A lot of readers thought that we had stopped writing the Sunday Brief… well we did. All good things must come to an end…. APRIL FOOLS // Don’t you worry.. the Sunday Brief took a brief hiatus during dress week! Full dress round up coming this week, until then shop all of our favorites here. Multi-masking // If I could have any job in the world I think I would want to be a face mask tester. I have a serious obsession……could be close to my jeans obsession. While you know I love all thing Kiehl’s (this mask is SO good – more to come this week.. eek so excited to share!!) I stumbled upon this article about Blue Tansy. Should this be my next mask adventure?? Oh Easter Bunny // Forget the chocolate, spring shopping! 50% off everything PLUS free shipping at Loft! How cute is this smocked dress, or this gorgeous embroidered blouse, and is it just me or is this wrap romper absolutely adorable?! AND 40% off full price styes at J.Crew – YES to this cute top! Headspace // I have never been one to sit still (except during the hours of 9-10pm with a glass of wine in my hand). So meditation is really not in the cards for me. But mindful running! I could get into that. Headspace (a mediation app) has teamed up with Nike to guide you through meditation while you run! Collaboration Chaos // The month of March brought us some amazing collaborations.. Anthropologie at Nordstrom (hello free shipping/returns) and April will bring us Hunter at Target! Can’t wait to share my favorites! Straw No More // Many major cities are doing their part to eliminate plastic waste starting with singular use items (I’m talking to you, straws). Time to ditch those cocktails stirrers and replace them with these! Back To Reality // After a week in the sun and sand I’ve gotten pretty smitten with my new spring wardrobe. A few things I couldn’t live without this Spring Break…. these slides, this cover up and this swim suit. 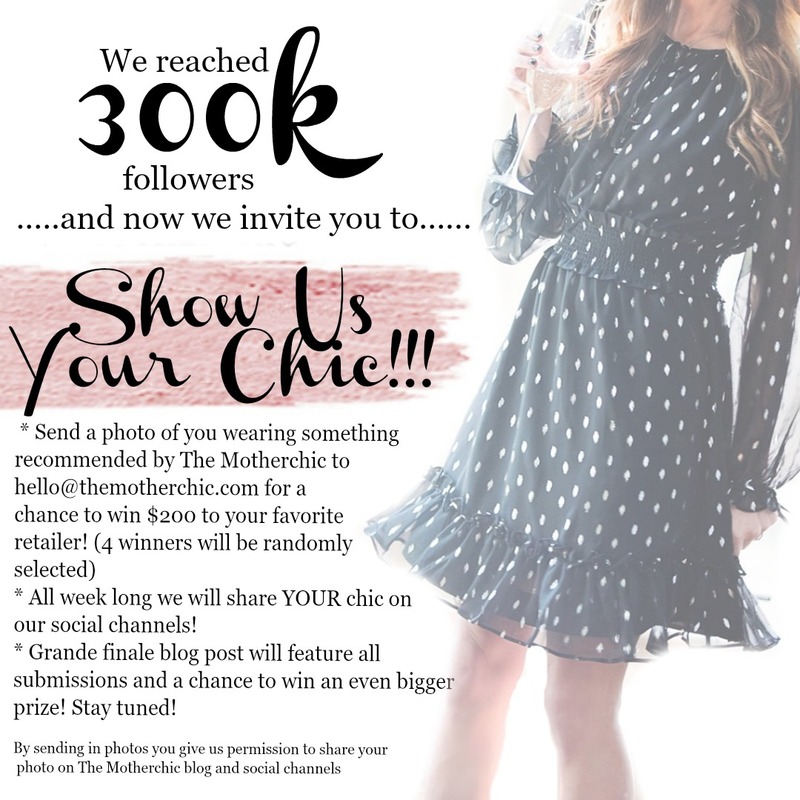 Show Us Your Chic // In case you missed the announcement on Facebook, we are showing YOUR chic all week long as a celebration of reaching the 300K follower milestone!